The Ark Encounter is happy to accommodate visitors who have trained service dogs accompanying them, and it has done so many times. The Ark Encounter is happy to accommodate visitors who have trained service dogs accompanying them, and it has done so many times. These types of dogs are welcome. At the same time, while we certainly sympathize with guests like this lady who take pets on trips with them and they act as their “comfort animals” or “emotional support animals” (as they are often called), when such untrained animals come to a busy and sometimes noisy attraction, they can become agitated, which can lead to behavior that poses a possible safety concern for our guests. True service dogs, on the other hand, are highly trained and, per a provision of the American Disabilities Act (ADA), provide specific services. Such service dogs continue to be welcome on site with their owners. To ensure the safety of our guests and the welfare of other animals in our park, “comfort dogs” or “emotional support animals” are not permitted. Such animals do not meet the ADA standards, for they have not gone through a rigorous training process. The possibility of agitated behavior by comfort dogs among large crowds, children, and other animals on site is a very real safety concern. The person in question was never denied entry by staff and was not asked to leave the property and not return, as was claimed. Furthermore, the public safety officer who dealt with the lady stated that she refused to answer our questions about the dog’s specific training. We encourage visitors who wish to bring an animal to any themed attraction to inquire about the park’s animal policy before they plan their visit. 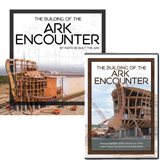 As parks attempt to comply with ADA policy, maintain public safety, and follow what insurance companies expect of the parks that they cover to reduce the risk of an animal-related incident, most theme park policies will read something like the following: Ark Encounter Policy on Service Animals. Certain animal certifications can be purchased online (sometimes called “access cards”), but this so-called “registration” does not require certified training of any kind for an animal. A mere card like this, even with a photo of the animal on it, will not guarantee that an animal will behave in a tourist attraction. Furthermore, such access cards are not ADA compliant. Maintaining the safety of our guests is of highest priority. Maintaining the safety of our guests is of highest priority. Accordingly, the Ark Encounter’s public safety department has been trained to ask lawful questions of guests who arrive with animals and inquire whether they are ADA-compliant as service animals. For example, a guest can lawfully be asked if the dog has a specific task that it can perform to provide a service. If the guest’s answer determines that an animal is not an ADA-approved service animal and does not conform to our policy (see link above), the animal will be denied entry, though the guest will not be denied entry once the pet matter is resolved. 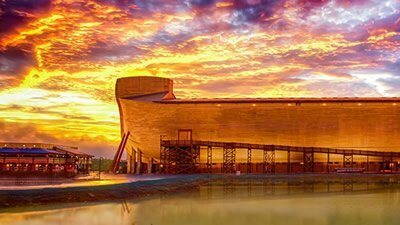 An officer will recommend a kennel so that the guests can provide shelter for their nonservice dog, and then the guest can return to the Ark Encounter. In this instance, and contrary to the statements she made to the media, the guest never answered the training questions after being asked several times by staff. We could not be assured that this was a trained service animal that would pose no safety risk to our guests, especially since animals can become skittish and aggressive among throngs of tourists. 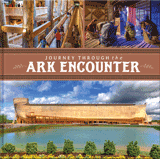 Imagine what would happen if a visitor brought a dog to the Ark Encounter and it mauled a child? The media would go ballistic and report on how irresponsible we were for not having a policy in place that forbids an untrained animal to be on the grounds among our thousands of visitors. If the guest in question wants to return to the Ark (and we hope she does), she would be welcome here. We just request that if she brings a dog, she will give satisfactory answers to our public safety officer when asked about what work or task the dog has been trained to perform. Since the program aired on Channel 19, the article about the comfort dog incident posted to the station's website has been updated to present our side of what actually occurred. The public safety department at the Ark is more vigilant than ever about guests’ animals being on site. That’s because fake “service” dogs are becoming a big problem; it’s why attractions are more careful than ever in keeping untrained comfort animals away from their guests and other animals. See Sue Manning, “Fake Service Dogs a Growing Problem,” NBC News, October 10, 2013, http://www.nbcnews.com/health/health-news/fake-service-dogs-growing-problem-f8C11366537.